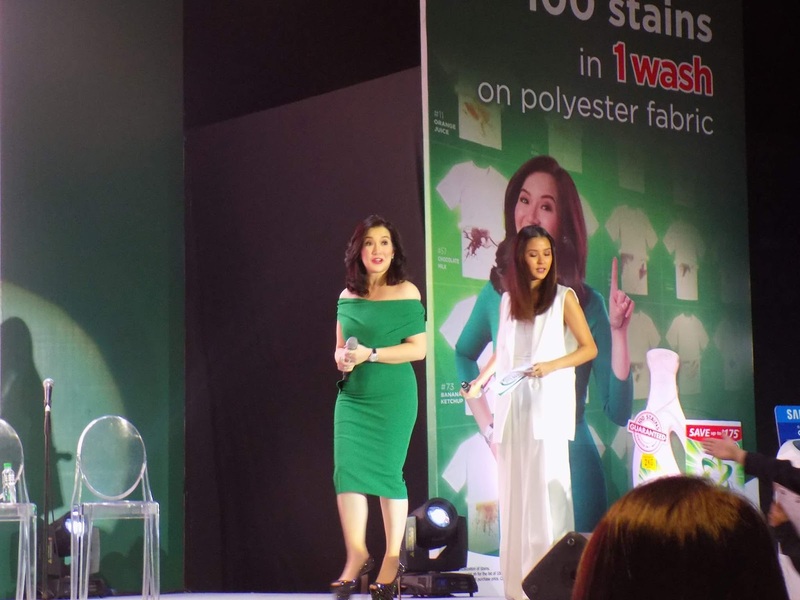 Ariel, the world's leading detergent, gathered 100 Filipinas from all walks of life last October 11, 2016 at the Shooting Gallery Studio in Makati City for the Wash Your Fears Summit, hosted by Ms. Bianca Gonzales-Intal. 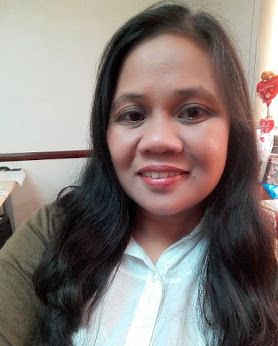 I was elated when a representative from a communications agency who handled project for Ariel invited me as one of the fearless Filipinas to participate in the summit. The event honored Filipinas who are fearless in pursuing their passion. 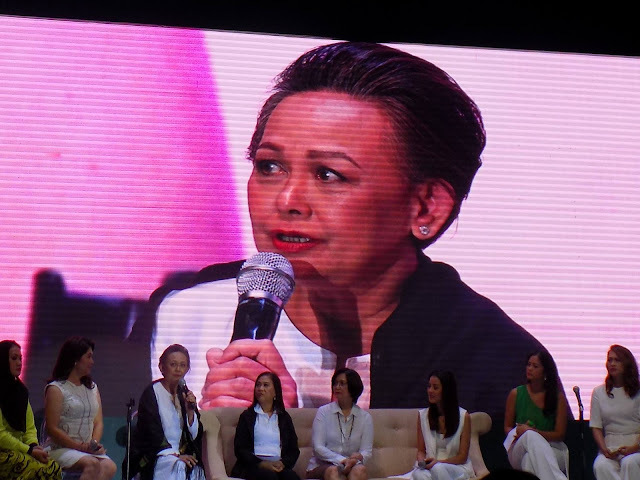 In this summit, Ariel's Brand Ambassador, Ms. Kris Aquino and 10 Fearless Women were invited as keynote speakers in a panel discussion on the "State of Filipino Women" where they also share inspiring stories on how they overcame their fears and succeeded in life. 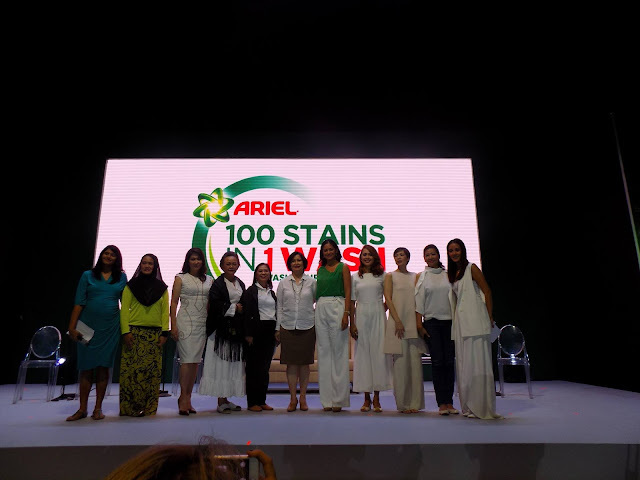 Likewise, the event showed Ariel's ability to remove stain in one wash through a symbolic washing away of fears by the 100 Fearless Filipinas. 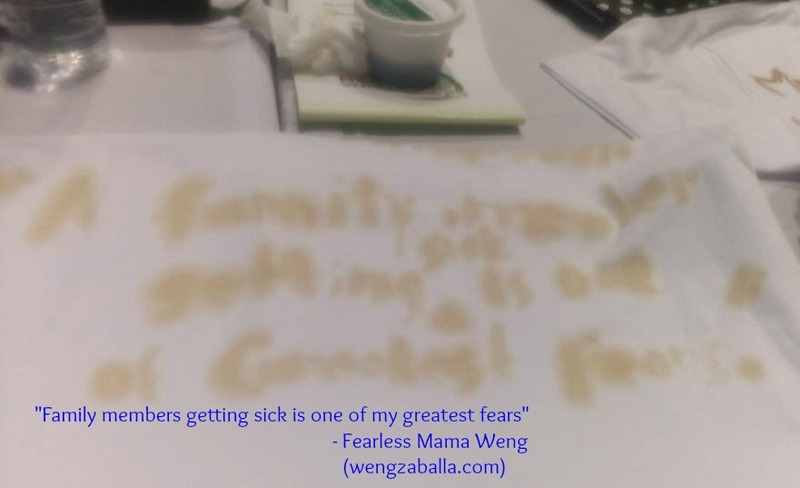 I wrote my fears in this shirt using a BBQ sauce stain. The gathering pays tribute to all Filipinas who continue to strive to improve the lives of their families and their communities. Ariel recognizes that journey to success is often stained by roadblocks that test one's strength, dedication and commitment yet Filipinas are known to stand up from the fall, wash their fears away and bravely face the world. I have my own share on facing my fears and other stumbling blocks while striving for a happy, contented life with my loved ones. Just like what I wrote on the shirt. 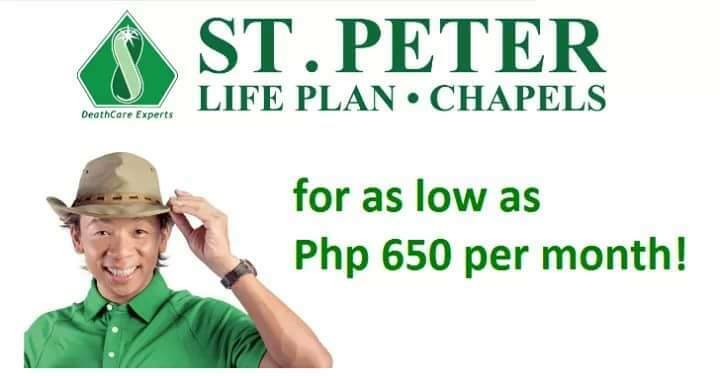 I have several experiences wherein my family members become ill. Financial woes and distance as I am living away from them is one of my fears. My father and two brothers succumbed from asthma complications, liver disease, and stroke, respectively. The loss of loved ones tested my faith and my strength. I have also experienced years of battling with a gallbladder problem that even resulted to a surgery to remove the said internal organ. I got sick while my husband was working overseas. But, as a mom, I have to be brave and strong to overcome the challenges like these. Now let's go back to the summit itself. It highlights a panel discussion headlined by Ms. Kris Aquino and 10 female celebrity influencers who are known to be fearless in their various roles, such as fearless beauty queen Miriam Quiambao, fearless advocate for peace and development Amina Rasul, fearless advocate for health and environment Anna Kapunan, fearless beauty queen and advocate for children's education Marilou Chua, fearless journalist Samira Gutoc-Tomawis, fearless entrepreneur Mandy dela Rama, fearless lifestyle columnist Mons Romulo, fearless female pilot Aimee Carandang Gloria, and fearless founder of the Cravings Group Badgie Guerrero-Trinidad. Ms. Emmeline Versoza, Executive Director of the Philippine Commission on Women (PCW) and Ms. Maria Clara Ignacio, Chief of the Women's Center - Technical Education and Skills Development Authority (TESDA) are also invited as key note speakers to provide deeper context on the "State of Filipinas" today. All women in the panel shared their inspiring stories on how they recovered from the many stains they encountered in their pursuit of their dreams and ambitions. "Sometimes, no matter how focused we are on our goals, there will be unexpected situations and stains that will challenge our abilities. But being a Filipina and a mother, I learned to use the last ounce of strength to stand up and face my fears," Kris said. Kris also shared some words of wisdom during the open forum, she said "Sino ba sa atin ang walang nakaraan. If God can forgive, why can't we forgive ourselves, too." Beauty Queen Miriam Quiambao had her own share of trials. "I draw a lot of strength from my faith. I had my own share of dark moments which lasted for years. My healing journey was filled with feelings of gratitude, positive thoughts, and lots of prayers. I believe Filipinas are strong because we love to pray," she said. Ms. Amina Rasul talked about her fears since childhood days and how she overcome them. Ms. Amina, daughter of former Senator Nina Rasul, is a fearless advocate for peace and development. Educating Muslim women and children is just one of her many advocacies. 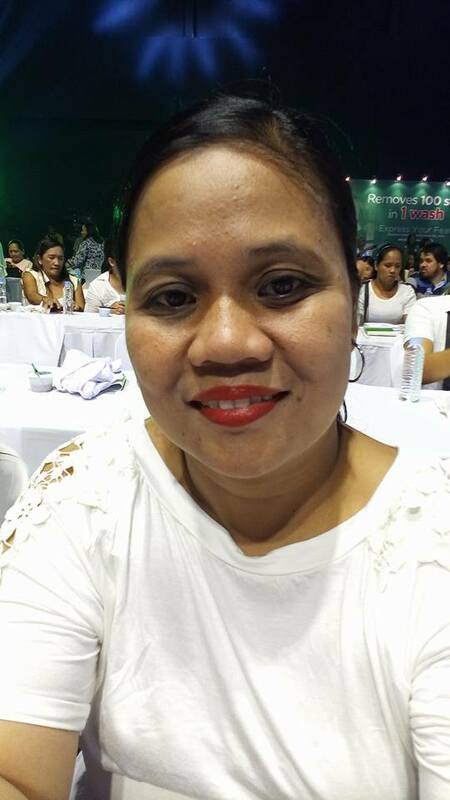 On the topic of the current state of Filipinas in the society, Maria Clara Ignacio, Head of TESDA Women Center said, "The presence of Filipinas in the workforce has a big impact in the economy. Thanks to their skills, there is a considerable industry growth in the country. In TESDA, we believe that development is for all. Men and women should have the same opportunities." Ms. Emmeline Versoza, PCW Executive Director, also shared, "Society has learned to appreciate the uniqueness of the hardworking Filipina. They are not only dedicated to their jobs; they also strive to be good wives, good mothers and good daughters. Sadly, often times they put other people's needs before their own." 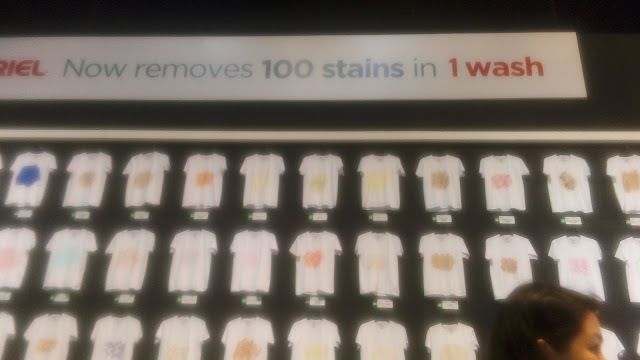 Though there were a large number of stains, they were no match for Ariel's superior stain removal as we witnessed firsthand the product's efficacy in removing 100 stains in just 1 wash with its optimized formulation which contains a higher level of active ingredients and smart enzymes. Look at these before and after photos of 100 shirts hung inside the venue. The Wash Your Fears Summit seals Ariel's commitment to clean 100 stains in 1 wash. The power in every wash leads to a worry-free laundry experience, allowing women to have time for themselves and for people around them. 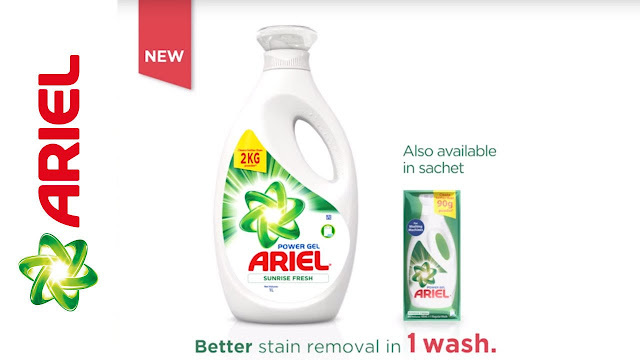 Remove 100 stains in 1 wash and be fearless in facing any challenge that might come your way with the new Ariel, now available in supermarkets nationwide. I've used Ariel several times but I tend to experiment when it comes to laundry products, eh. But having witness and proven its effectiveness during the event, I said to myself "I will now stick to Ariel." 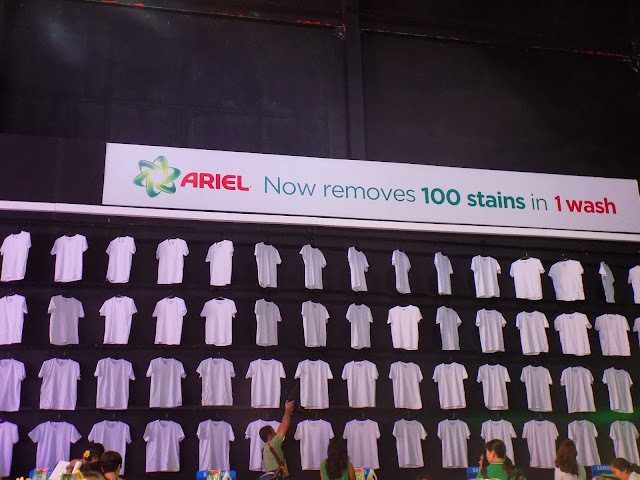 More information can be found on www.facebook.com/arielphilippines or follow the conversation online with the #Ariel100Stainsin1Wash hashtag.